CarGurus has 8,336 nationwide 200 listings starting at $2,950. Competent road manners, a well-appointed interior and solid performance from an available V6 powerplant make the Chrysler 200 a big improvement over the Chrysler Sebring, which it replaced in the automaker's lineup in 2011. The Chrysler 200 rolls into 2012 with no new features or updates, and a small trunk and cramped cabin with minimal storage space make the 200 a questionable choice for families or owners who have to carry passengers and cargo. Available as both a sedan and a convertible, the Chrysler 200 represents a much-needed improvement over the Sebring, but the sedan still struggles to match up against formidable competitors from Toyota, Honda, Ford, Hyundai and Nissan, among other automakers. 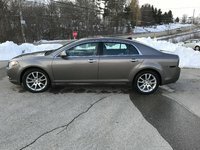 Chrysler lowers the 200 sedan's entry-level price for 2012 in an effort to make it a better overall value, and the adjustment might be just enough to make some buyers take a serious look. The 200 convertible, however, sits in a better position, since it has fewer true competitors, although it also costs quite a bit more than the sedan. Other than the introduction of 2 new exterior colors and a new interior color for the convertible, the Chrysler 200 remains essentially unchanged for 2012. Introduced in 2011 as a replacement for the ailing Sebring, the Chrysler 200 comes in 4-door sedan and 2-door convertible body styles, with 4 trim levels for the sedan and 3 for the convertible. 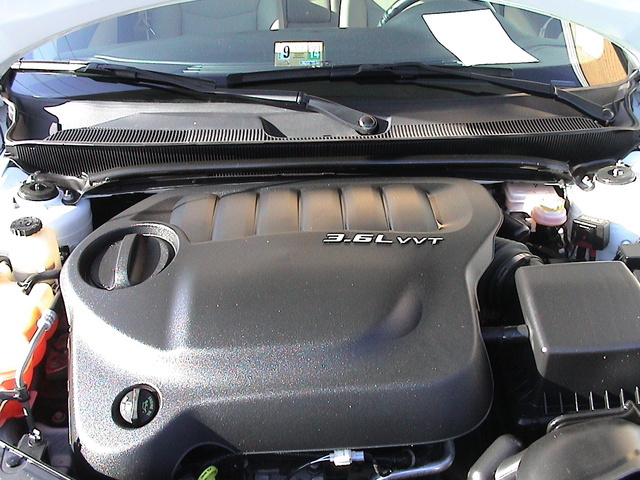 Powerplants include a base 2.4-liter 4-cylinder World Gas Engine and an optional 3.6-liter Pentastar V6, which the 200 shares with a number of other Chrysler and Dodge vehicles, including the Chrysler 300, the Town & Country minivan, the Dodge Challenger, the Dodge Avenger and the Dodge Durango, as well as the Jeep Grand Cherokee. Fuel economy numbers for the 200 are fairly decent, with the base 4-cylinder getting up to 31 mpg. Inside, the 200's quiet, comfortable cabin features plenty of soft-touch surfaces and upscale materials, but reviewers say it's too cramped for families, with limited storage and cargo space. On a positive note, Chrysler lowers entry-level pricing for the 200 sedan by about $1,000 for 2012. Chrysler offers the 200 midsize sedan in LX, Touring, Limited and S trim levels, while the 200 convertible comes in Touring, Limited and S levels, as well as with either a power cloth top or a power retractable hard top, both with 1-button operation. The sedan seats 5 passengers, while the convertible seats 4. Both body styles ride on front-wheel-drive platforms. For 2012, both the 200 sedan and convertible receive new Crystal Blue Pearl Coat and Deep Auburn exterior colors. In addition, the convertible gets a new Black with Pearl White interior color scheme. Outside, the 200 displays a slanted front fascia with Chrysler's signature grille, bi-function halogen projector headlights with LED accents, a sculpted hood, clean side lines and LED taillights. The distinctive Chrysler winged badge features prominently on both the grille and trunk lid. The Limited and S trims add projector foglights, while the S trim also includes an S grille with black painted bars, S headlights with a black background, S foglight bezels, dual bright exhaust pipes and a unique Chrysler winged badge with black inlay. All 200 convertibles come standard with a power soft top, although Chrysler offers a power retractable hard top as an option on the convertible Limited and S trims. Still relatively new in the marketplace, the 200 sedan faces tough competition from such well-established vehicles as the Ford Fusion, Hyundai Sonata, Toyota Camry, Nissan Altima and Honda Accord. The lowered entry-level pricing for the 200 LX sedan seems to indicate that Chrysler knows it needs to make the vehicle more competitive and a better overall value. The 200 convertible, which carries on the tradition of the popular Sebring convertible, enjoys a slightly better position, since it faces fewer competitors. Vehicles like the BMW 1 Series Convertible and the Ford Mustang convertible carry much higher price tags, while the MINI Cooper Roadster and Mazda MX-5 Miata ride on a smaller footprint, with less interior and cargo space, giving the 200 convertible an opportunity to establish itself in the marketplace with buyers who seek an affordable open-air ride. Chrysler offers the 200 with a choice of 2 engines, depending on trim level. The base LX sedan, Touring sedan, Limited sedan and Touring convertible come equipped with a base 2.4-liter DOHC 4-cylinder engine producing 173 hp and 166 lb-ft of torque. In the LX sedan, the engine links to a 4-speed automatic transmission, while the Touring sedan and convertible upgrade to a 6-speed automatic with an Auto Stick manual-shift feature. Fuel economy numbers check in at 21 mpg city/30 highway with the 4-speed automatic and 20/31 with the 6-speed. The S sedan, Limited convertible and S convertible receive a 3.6-liter Pentastar V6 engine as standard equipment. Again paired with the 6-speed automatic transmission, the V6 generates 283 hp and 260 lb-ft of torque, with almost identical fuel economy numbers of 19/29. Chrysler offers the V6 as an option in the Touring and Limited sedans and in the Limited convertible, but not in the entry-level LX sedan trim. Testers like the performance of the V6 engine, which delivers smooth, capable performance and good acceleration. However, with its high torque number, the V6-equipped 200 can be susceptible to torque steer, which drives the car to one side under heavy acceleration, according to testers. Generally, reviewers are unexcited by the base 4-cylinder engine and 4-speed entry-level automatic transmission. 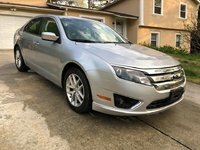 Fuel economy numbers are on par for the class, although the Ford Fusion gets up to 37 mpg with its EcoBoost engine, and the Camry gets 35 mpg with its 4-cylinder engine and 31 with its V6. 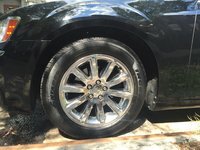 The Chrysler 200 does a good job of smoothing out rough road surfaces and represents a vast improvement over the Sebring. For the most part it stays firmly planted in tight corners and exhibits only minimal floatiness over dips and bumps. The power rack-and-pinion steering provides good responsiveness and feedback, while the 4-wheel antilock disc brakes deliver good stopping power, although some test drivers find them a little mushy. The 200 rides on a front independent MacPherson strut suspension with gas-charged shock absorbers and a stabilizer bar, and an independent multi-link configuration in the rear with gas-charged shock absorbers and a link-type stabilizer bar. The LX rides on 17-inch steel wheels, while the Touring trims get 17-inch aluminum wheels. The Limited and S trims get 18-inch aluminum wheels. The Chrysler 200's interior receives mixed reviews. For the most part, critics say it's an improvement over the Sebring's cabin, although some cheap-looking components still carry over, such as the sun visors and interior trim. However, the 200's cabin benefits from soft-touch surfaces and generally higher-end materials. In addition, controls are easy to access and operate, although some critics say the controls still have a plasticky feel. However, one of the 200's biggest shortcoming remains its interior space. Critics call the cabin cramped and narrow and note that despite the sedan's 5-passenger capacity, 3 adults will have difficulty sitting side-by-side in the rear seat. Passengers will find adequate headroom in the front and back, but legroom can be tight for taller adults. Similarly, the convertible's second-row seat can be tight for 2 taller adults. Chrysler reports that the cabin of the 200 sedan has a total interior passenger volume of 100.3 cubic feet. That compares to 102.7 cubic feet for the Toyota Camry, 103.2 cubic feet for the Honda Accord and 103.8 cubic feet for the Hyundai Sonata. Critics also find fault with the 200's seats, which they say are thin and uncomfortable. The 200 LX sedan receives a decent list of standard features, which include remote keyless entry with entry lighting, air conditioning, cruise control, a tilt/telescopic steering wheel and power windows and door locks. Cloth upholstery and manual height and lumbar adjustment for the driver's seat also come standard, while the rear seat splits 60/40 and folds down to expand cargo space (13.6 cubic feet of trunk space in the sedan, 13.3 in the convertible). The 4-speaker audio system includes a CD/MP3 player, an auxiliary audio input jack and steering-wheel-mounted audio controls. The Touring trims add such features as automatic climate control, an 8-way power-adjustable driver's seat, a leather-wrapped steering wheel and shift knob, a mini trip computer and an upgraded 6-speaker audio system with SiriusXM satellite radio. Stepping up a notch, the Limited trims get leather upholstery, heated front seats and an auto-dimming rear-view mirror with a microphone, as well as a premium audio system with HD radio, a 6.5-inch touchscreen, a CD/DVD/MP3 player, an iPod connector, Bluetooth and a 40GB hard drive. At the top of the line, the S trims also receive a perforated leather-wrapped steering wheel, sport bucket seats with suede inserts and a 6-speaker Boston Acoustics audio system. Owners can add a navigation system to the Limited and S trims. Standard features for the 200 convertible trims differ slightly from those of the sedan. All convertible trims, for instance, receive automatic climate control and 6-way power-adjustable front seats as standard features. The 2012 Chrysler 200 was named a Top Safety Pick by the IIHS, since it received a top rating of Good for protecting passengers in all types of crashes, including front, side, rear and rollover crashes. The NHTSA gave the 200 a safety rating of 4 out of 5 stars, which breaks down to 4 stars for protecting passengers in front and rollover crashes, and 3 stars for side crashes. All 200 trims come equipped with all the expected safety features, including electronic stability control, traction control and antilock brakes with brake assist. Six airbags, including front seat-mounted and side-curtain airbags for both rows of seating, also come standard. A tire pressure monitoring system and a vehicle theft alarm system are among the other standard safety features. Owners give the Chrysler 200 mixed reviews and are split almost evenly between those who love the vehicle and those who don't recommend it. 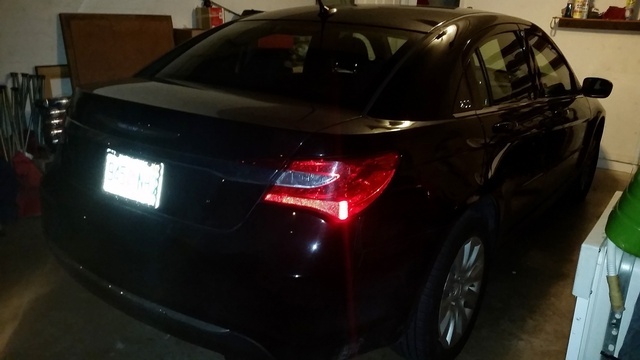 On the plus side, many owners find the Chrysler 200 to be a good value, with sporty handling and capable performance, especially with the V6 engine. They also like its quiet, comfortable cabin, standard features list and exterior styling. For the most part, these owners don't seem to have a problem with the tight cabin and instead say it meets their expectations with overall good fit and finish. Owners also say they like the highly adjustable driver's seat, which provides good visibility out the front and back. On the other hand, a number of owners report build-quality problems with the 200, requiring frequent trips to the dealership, while others complain that they're not getting promised fuel economy numbers from the 200's engines. These owners also find the seats a little too hard, and a few note faster depreciation for the 200 than some competitive vehicles. Other complaints mention a harsh ride and an outdated interior. Prospective buyers will have to test-drive the car and judge for themselves whether the 200 meets their needs and expectations. What's your take on the 2012 Chrysler 200? Users ranked 2012 Chrysler 200 against other cars which they drove/owned. Each ranking was based on 9 categories. Here is the summary of top rankings. Have you driven a 2012 Chrysler 200?